The mat measures approximately 33" x 21" x 1.25"
The pattern is woven with 4 passes, black as the outer borders and blue inner passes. The pictures shown are very similar to the mat you would be purchasing. Check out our shop's other mats and rugs! 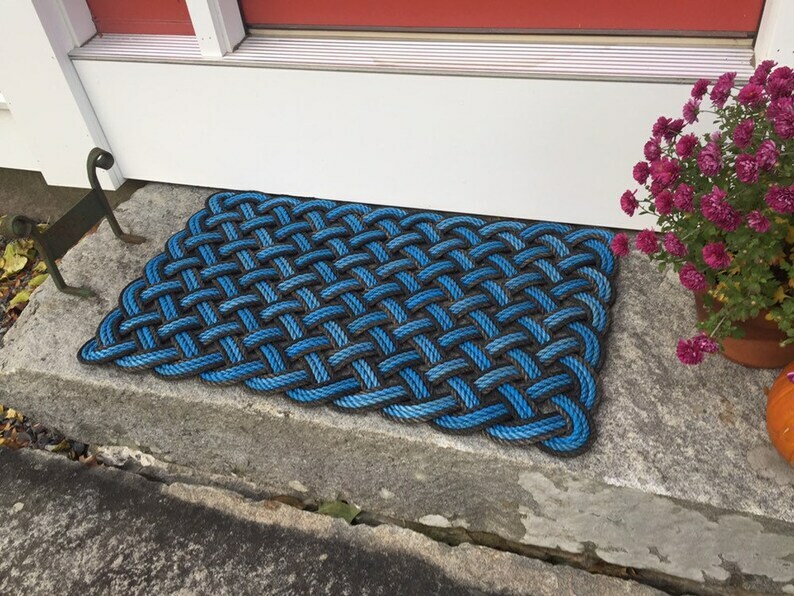 Love this doormat! It’s heavy and stays in place well. The colors are also very nice! It’s just a very unique welcome to my home.